I’m always surprised when friends don’t know the basics of growing basil. They are conscious, and go to the trouble of setting up an organic herb garden, but lack the nuts and bolts information to keep basil alive. 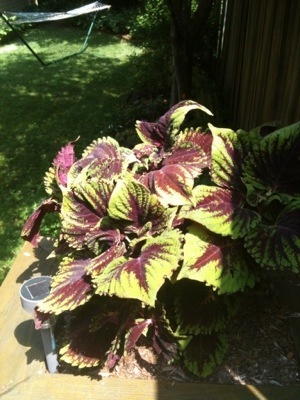 When basil “bolts” or begins to form seeds and flowers, as shown in the above photo, that is no good. That means the annual herb is trying to complete it’s lifecycle- we want to manipulate it into living as long as possible and so we need to pinch those seeds off when they appear. 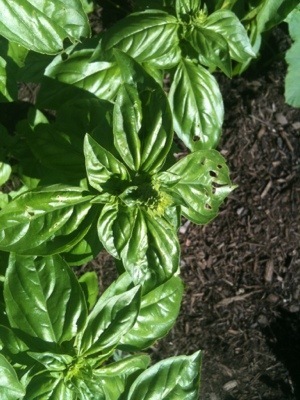 It is best practice to pinch the basil frequently enough that seeds never have a chance to form. Once the seeds flower, the leaves become bitter and are not nearly as useful to a kitchen gardener anymore.